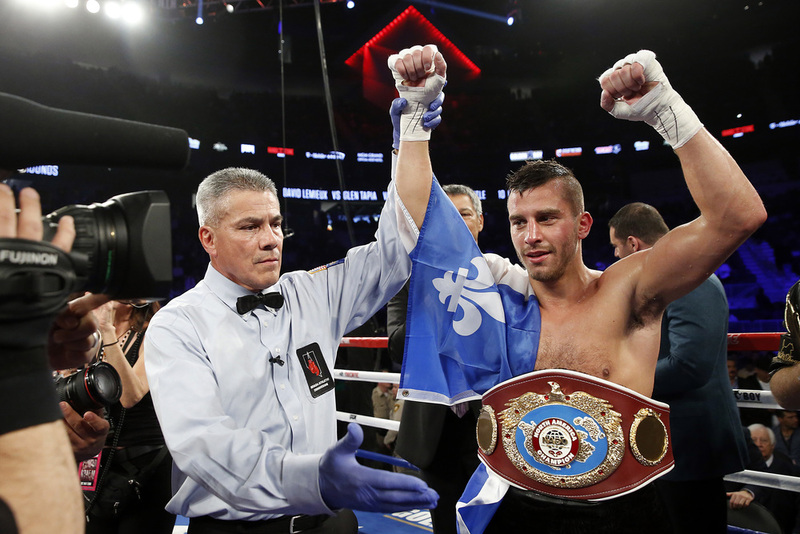 In his first fight back since a lopsided loss to Gennady Golovkin last October, David Lemieux got to the play the role of GGG against overmatched Glen Tapia, walloping the brave but limited “Jersey Boy” until Tapia’s corner threw in the towel 56 seconds into the fourth round and ref Russell Mora had no choice but to end the contest. 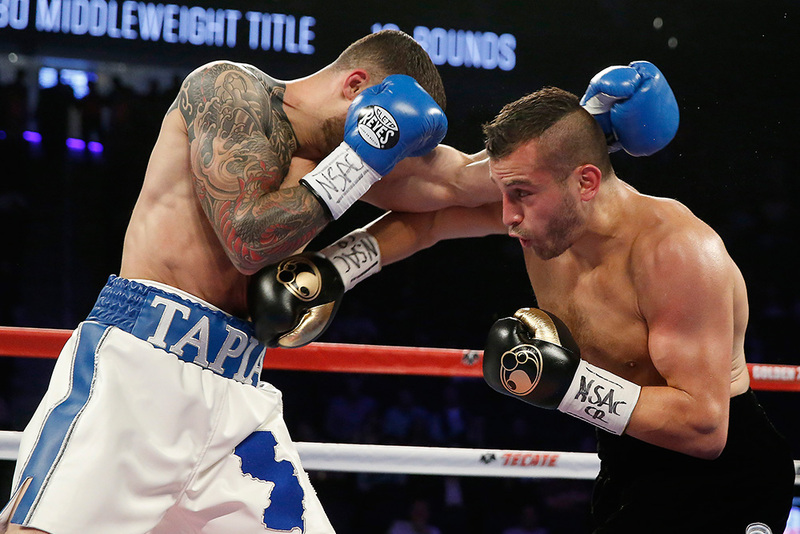 Lemieux and Tapia are cut from a similar cloth—both exciting punchers, not overly adept at defense—and Tapia learned the hard way that anything he could do, the man from Montreal could do better. A beautiful left uppercut from Lemieux late in round one set the tone, and the 27-year-old Canadian was in full stalker mode by the second. Even his jab was scoring flush, and about the best you could say for Tapia was that his chin was holding up impressively. 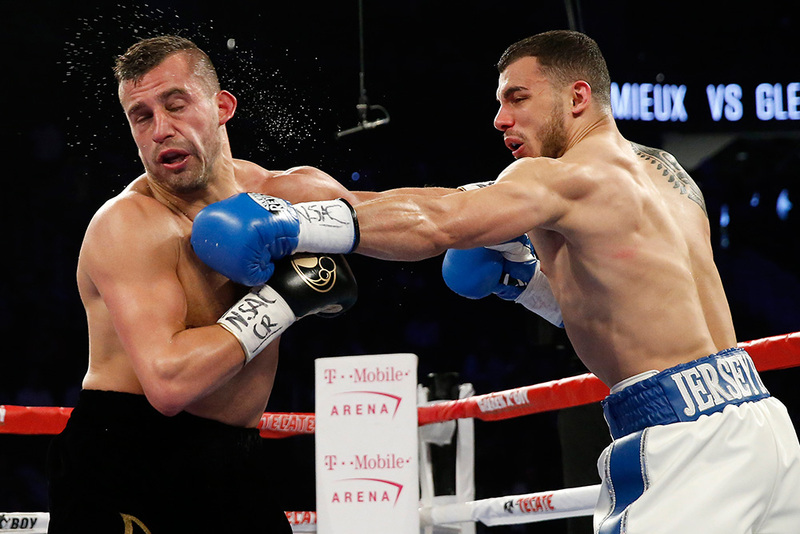 Lemieux (35-3, 32 KOs) began mixing in punches to the body in the third, and his combinations grew increasingly confident as he seemed to be utterly unworried by the return fire he might face. 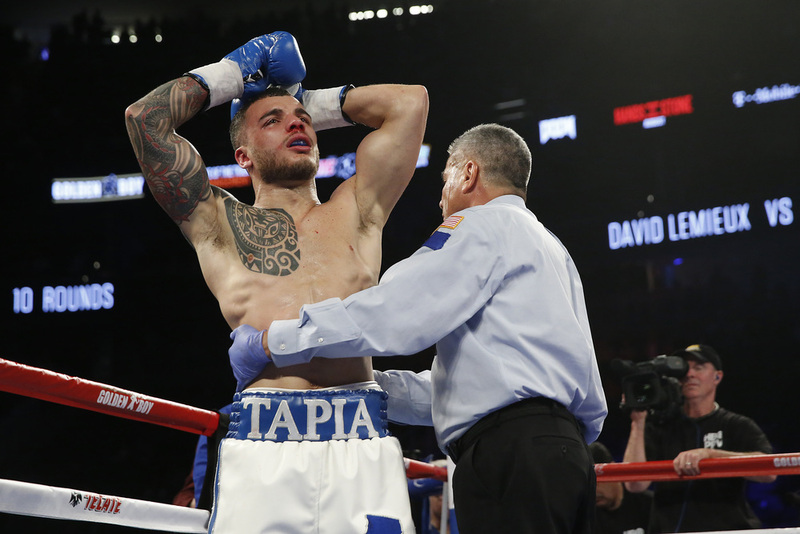 The 26-year-old Tapia (23-3, 15 KOs) did sneak in one particularly nice jab midway through round three, earning a nod of acknowledgement from Lemieux, but that was the underdog’s last good moment.